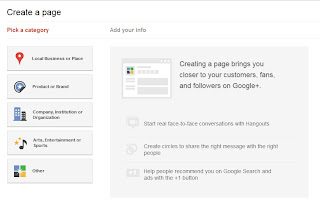 Yesterday Google+ pages for brands and business were launched, and the first page I get notice was a page for Gmail. But, when tried for creating a page for my blog, I learned it was not open for everyone. Today is the day when I was able to create a page for myself. How to Create a Business Page? 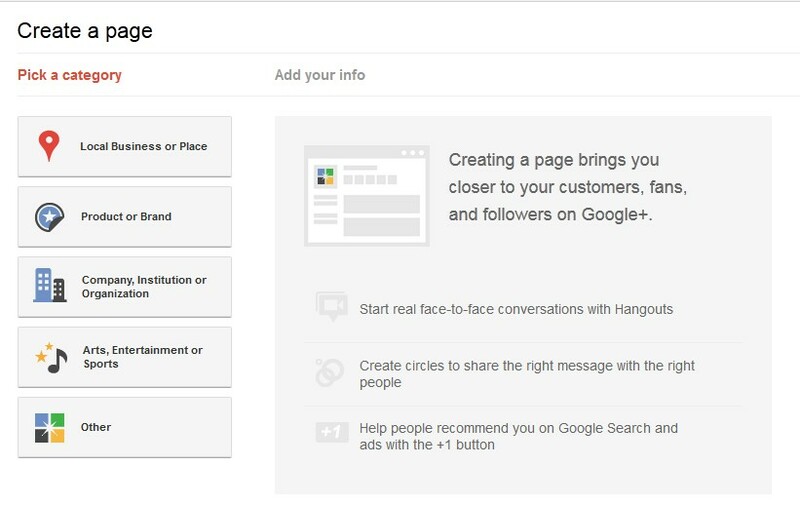 1) On Google+ homepage locate “Create a Google+ page” below the heading for Hangouts. 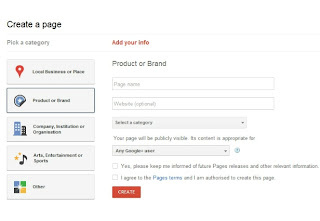 2) Choose the category for your page like ‘Local business or Place’ for a restaurant. For a personal blog, a sports team, a book, or a video game you can choose ‘Arts,Entertainment and Sports’. 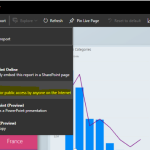 There is also ‘Others’ category which you can use if your page doesn’t fit in another category. 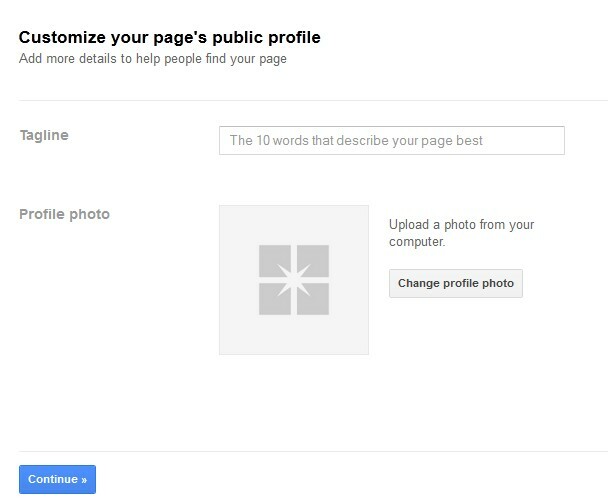 3) Select your Page name and enter your website URL if you want. 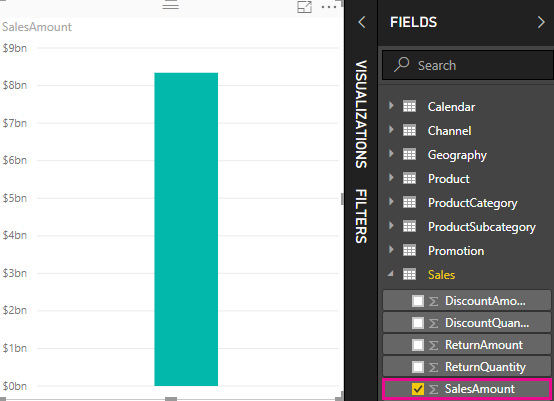 Agree to ‘terms and conditions’ and click Create. 4) Choose your profile picture and add a short tagline which is like ‘About’ in Facebook. It will appear below your page’s name. 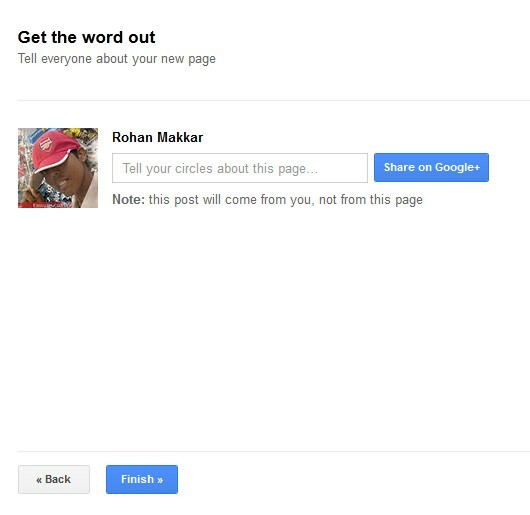 5) Now your page is ready and you can share it with your circles or you can share it later after completing the setup process. 6) Click on Finish to complete your process. You will be redirected to a Getting Started page just like on Facebook. Now you can share it with your friends if not done earlier, post statuses as a Page and build your circles for page. Your every activity including creating circles or posting updates or photos will be now done as a page. You can switch back to your own personal profile by clicking on the down arrow adjacent to your profile picture. 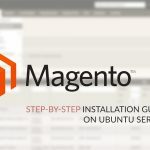 You can delete a page selecting ‘Manage your pages »’ from the drop-down menu and then clicking the ‘Delete’. 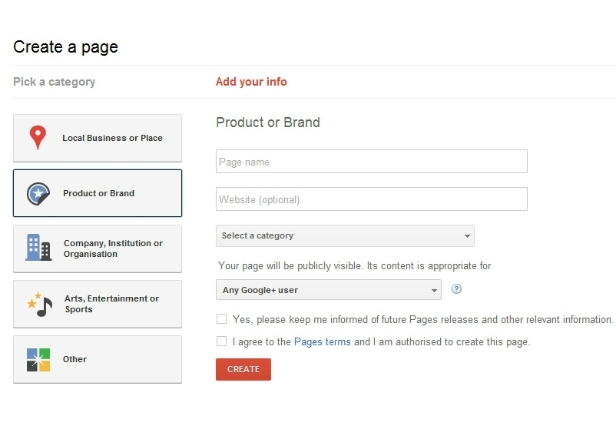 You can create a Badge of your page to place it on your website but the Script is not available now and the Google Developers page says “Script coming soon” . 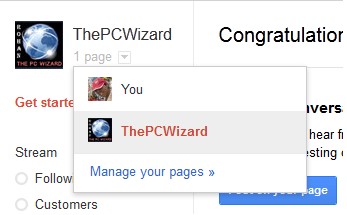 For now you can add a link to your page with a G+ icon for example you can see my page’s link on the right sidebar. Please, don’t just see it Add it too. You can have a hangout with your circles unveiling your products or services. Put relevant pics on the photo strip showcasing your brand or business. No Google+ page can follow or mention any one except other pages until and unless they are following them. Update: Script for Google+ badges of pages is available now! If you are not a creator but like to follow other pages, here are some of them that you might want to be updated of or take inspiration from from.